Marble flooring is used in many grand buildings, like The White House and the Mark Twain house. Such type of flooring design is aided by the use of marble flooring tile, various colors, and a variety of shapes, as well as craftsmanship. You can create stars or borders. Even a checkerboard with white and black marble flooring is an interesting option. If you have to ask how to install marble flooring, it may be a project best left for professionals. Care of marble flooring involves proper sealing after installation and polishing periodically, as well as thoroughly cleaning marble flooring. To make a grand statement, consider marble flooring. Many believe that the beauty of marble flooring is out of their range in price. While most marble is quite expensive, the quality that it provides is amazing and lasts much longer than a lifetime when properly maintained. Installing them once will give you a beautiful outlook for lifetime. It gives an elegant look to your house or office. It is the most desired choice for all interior designers and architects. Marble flooring is a natural stone that is imported from all over the world. Marble is durable, beautiful and exceptionally versatile. It is more difficult to maintain, expensive in most cases and is harder to install than most other flooring stones. But, all of these things are outweighed by the sheer elegance it offers. It provides you the most stylish and stunning environment at your home or workplace. Marble flooring is very durable. It will last you a long time if you take care of it. But, the care that is involved in having marble flooring tile is more complex than that of other types of stone flooring. In fact, care of marble flooring is very important. When it is first installed, a protective sealant needs to be applied. You need to have this sealant reapplied every year at the very least. Cleaning marble flooring generally involves mopping, followed by towel drying it. Never use chemicals on it as most will damage the flooring. A wet marble floor will become spotted quickly. Part of the maintenance routine includes regular polishing. As for its stain resistance, you may find that marble is a little more troublesome than you want. Never use chemicals on it as most will damage the flooring. A wet marble floor will become spotted quickly. Some types of marble are more susceptible than others to stains from common household products. Especially problematic for marble are orange juice, shampoos, and nail polish remover. But, even water can cause a pretty serious stain to marble. Again, it is very important for marble to stay dry. To compensate for this, many professional installers of marble will use a neutral pH breathable sealer when sealing the marble. Marble is an alkali and thus it reacts with the acid stains which can lead to long-lasting discoloration of the floor. You have decided to get marble flooring installed in your home. There are several things to think about here. First, you will likely need to have the marble imported, unless you live near the quarry, like in Marble, Colorado. Once upon a time, most quality marbles only came from Italy. That isn’t the case anymore. While you can still get Italian products of exceptional quality, you can also get high quality from Mexico, countries of the former Soviet Union, Spain and China. This gives you more selection in the options that you have. Marble flooring design options are abundant, based on the color, and size and shape of the marble tiles you select. There are various colors, somewhat depending on where it’s quarried. You can purchase various shades of white, green shades, peachy-tones, and black marble flooring. The white shade is the most common and chosen one as it gives a perfect look to the place. When installing the marble, different patterns can be arranged to give you the look you want. If you want to learn how to install marble flooring, you should consider the skill that you have. This is a very expensive material which means that you more than likely will want to have a professional install it. But, if you choose to do it yourself, ensure that you have the proper materials to cut it, as well as the knowledge of how to lay it. When laid properly, it is exceptional in its beauty. Marble flooring is a durable alternative to your flooring needs. It’s beautiful, and like many beauties, requires regular care and maintenance. Take care to install it properly and clean it regularly, and you have a floor that will last for decades. With a little bit of maintenance and expenditure you can build a dream home with the help of marble flooring that will provide you a sophisticated look. We installed marble in our outdoor courtyard in southeast FL two years ago. Recently I have noticed it is deteriorating with large holes throughout. It was installed by a contractor and also sealed. We had a different contractor come to give us an estimate this year to reseal. He said it still has sealant on it and doesn’t need it. I am very concerned about the deterioration and how to stop it. Any ideas? Hi Carol, The holes will need to be repaired before any sealing is done. You should get estimates for repair. I live in West Texas where we rarely get rain or frigid temperatures, I have a covered 8ft x 8ft front porch which I want to lay marble on. I will tell you that the front door is rarely utilized because most everyone comes in through the back of the house. Do you foresee using marble tiles outside a problem? I recently got marble floor in my kitchen and bathroom. I was told by the store that I don’t have to seal the marble, only the grout. I have not sealed anything yet. I can see the scratch marks already. What should I do? Some articles suggest that I should seal it and some suggest I should not. I don’t know whom to believe. Please help. Sadly natural flooring products do scratch. A sealant won’t prevent the scratches but would protect against staining. The best way to care for the marble is to remove as much dust from shoes as possible before walking on it and wiping up spills as quickly as possible. I just got done isntalling marble tile in my bathroom. Im un sure of my next step. Im hearing mixed opinions on sealing. I was told by a friend to seal the floor before grouting it. And ive read articles about people grouting and then sealing the whole floor. Seal before grouting and if it’s to late and you decided to grout, make sure any grout residue is removed completely and that what you seal the time with is compatible with what you’ve sealed the grout with. I would personally seal before grouting. I also recommend Aqua Mix as a sealer. I’ve had great success with it. I would like to know how to keep the marble shining? beside the sealer and keep it clean? Some said that I have to wax to keep it shine? is that true? Is that expensive? Is there any personal small waxing appliance for home use? May I have all the details? Sealers do not give floors a that nice glossy finish/high shine effect. If you are wanting a higher shine, you will need to apply wax over the sealer. However, it is best to use same brand sealer and wax to ensure compatibility and to get the best results. 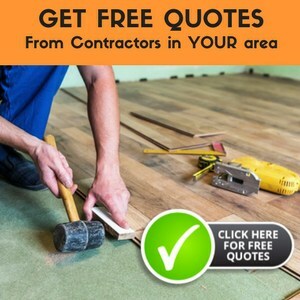 I would ask the supplier you purchase your sealer and wax from, and they should be able to instruct you on how to apply it or refer you to a local contractor. An article that will probably help a lot is Installing Stone Flooring. After the installation you should be able to seal the marble after cleaning and drying completely. Then for the grouting, you should check with the manufacturer’s instructions on how long it will take the sealer to dry completely. My husband is convinced that we need marble flooring in our kitchen. We have babies on the way, and I am looking for something durable, safe for young ones, and easy on the wallet. I am trying to convince him that marble is not the way we should go? Am I just being cheap or is this a horrible idea. I want to install tumbled marble (ming green) in the shower AND avoid a lot of maintenance AND avoid staining. Is there a limit to the number of coats of sealant to apply or a limit to the number of times a year that sealant can be applied? What is the very best sealant? Also the stone is very dusty/white looking. What is the best color enhancer? It becomes a beautiful green with a squirt of water.